The Danish government has proposed exempting certain shops from the obligation to accept cash payments in a move seen as pushing the country a step closer to a “cash-free” economy. Businesses such as clothing retailers, gas stations and restaurants will no longer be required to accept cash next year, the government of Denmark said on Wednesday, according to Reuters. The move comes as part of a pre-election package of economic growth measures aimed at reducing costs and increasing productivity for businesses. The proposal is supported by the Danish Chamber of Commerce which agrees that it is time to give shops the option to go cash-free. “Society has changed so much that there is no longer a need for requirements on cash payments. Plus, cash has become tremendously expensive to handle due to security reasons,” chamber spokesman Henrik Hytolft was quoted as saying by The Local. The government’s move is not likely to meet opposition in Denmark, where cash payments have become less popular than those made by mobile phone or credit card. However, there have been fears the poor, elderly and disabled could be affected negatively as they lack access to technology and credit. Supermarkets, doctors, dentists, post offices and pharmacies will still be required to accept cash. Almost 1.8 million people in Denmark’s 5.6 million population use MobilePay, a smartphone application, to transfer money to other phones and shops. Sweden, Denmark and Finland lead the European Union in credit card payments per person. The shift to electronic payments is expected to save shops time on managing cash from the till and money on security. However, it also increases the risk of fraud. The number of fraud cases involving electronic transactions, including skimming, surged to nearly 20,000 in 2011 from 3,304 in 2000, according to the Swedish National Council for Crime Prevention. To prevent cases of fraud, Danske Bank, Denmark's largest bank and owner of MobilePay, has already linked the app to a digital signature which is the equivalent of an individual’s social security number. 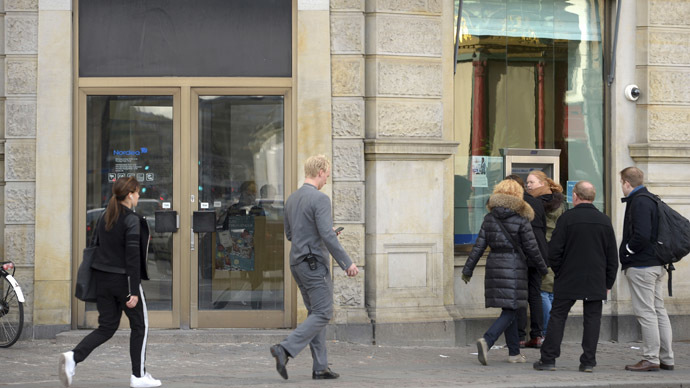 Stores in Denmark can begin rejecting cash on January 1, 2016, if the government proposal is approved.